The Asiwaju Bola Ahmed Tinubu-led reconciliation efforts in the ruling All Progressives Congress APC may have lost its steam following the decision of the party leadership to scale up crisis mediation efforts ahead of the 2019 General Elections, Saturday Vanguard has learned. President Muhammadu Buhari had weeks ago appointed Tinubu to embark on troubleshooting and confidence building efforts in the ruling party, but the party now seems ready to resolve its crisis its own way in spite of the Tinubu ‘committee’. The former Lagos State governor had on February 14 visited the Chief John Odigie-Oyegun led National Working Committee NWC of the party at its secretariat in Abuja to intimate them about the commencement of his work as well as solicit their support in delivering on the presidential mandate given to him. At the meeting, Tinubu was alleged to have listed several terms including asking the party leadership to stand down all ongoing reconciliation efforts in order not to work at cross-purposes with his team. Tinubu on his own in a letter he wrote to Chief Odigie-Oyegun days after the meeting, said he had also requested for documents on the state of affairs of the party in some States, a request he said had not been granted as promised. He had also asked the party to appoint a liaison officer to interface with him and the party in the course of his troubleshooting assignment, a request that had since been granted by the party through the appointment of the APC Director of Organization, Alh. Abubakar Kyari. 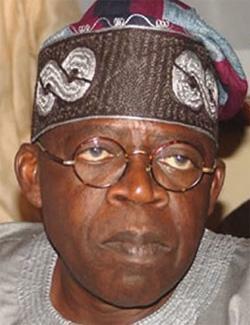 It is not known whether Tinubu has named his full team. However, Saturday Vanguard learned that the party has been making efforts to resolve its crisis, a move that has left the Tinubu committee with nothing much to do. “Kogi is one of the flash point states that Tinubu is so much interested in. Even in his last letter to the national chairman, he stated it. Now, the NWC has insisted that the status quo ante bellum be maintained in the state, meaning that Haddy Ametuo, obviously favoured by Tinubu against Gov. Yahaya Bello’s choice of Alh. Ibrahim Ahovi, remains the chairman of the party in that state”, said a national officer of the party who did not want his name mentioned in the report. In Kaduna, the party had recently set up a committee headed by its Deputy National Chairman, South, Engr. Segun Oni to wade into the crisis afflicting the party in the state. Other members of the fact-finding committee were the National Auditor, Chief George Moghalu and National Woman Leader, Hajia Rahmatu Aliyu. The team was to “ identify the remote and immediate causes of the disagreement and circumstance that led to the demolition of the house of Sen. Suleiman Hunkuyi” among other issues. Apart from mediating in the crisis in other states including Cross River, the party leadership earlier in the week took its efforts a notch higher by wading into the continued altercation between the National Assembly and the Executive when it visited its Senate Caucus on Wednesday. Consequent upon discussions at the parley, the NWC and the senators resolved to set up what could appear as a parallel crisis mediation team to resolve all the crises in the party. At the end of the meeting which lasted about three hours, Senate Leader, Ahmed Lawan said the party would soon constitute a caucus, comprising members of the executive, the legislature, governors and the party leadership, to resolve issues confronting the party. “The discussions centered around so many things, including the issue of election sequence. We are coming to a situation where that can be resolved. We are hoping that as soon as that caucus is constituted, this kind of issue will easily be addressed and resolved. Senators took the opportunity to express problems bedeviling the party. The party will soon constitute a team that will comprise the Executive, Legislature, governors and the party itself. The meeting was worthwhile and the party was happy to be here this afternoon. It was a frank discussion. “The idea of bringing everybody to the table is to ensure that we are able to resolve any issue; issues at party, National Assembly and at the executive levels and with some of our governors. Should there be any issue, we should be able to discuss and dispense with it as quickly as possible. “When you have everybody on the same page, you would have reduced misunderstanding to its barest level or eliminated it completely. There may be times when there will be disagreements. Such disagreements must not be allowed to become a clog in the wheel of progress. Describing the visit of the NWC to the Senate “as a father visiting his family”, Lawan said the NWC had requested for an interaction with the party’s Senate caucus to review events in the party and the country. The post 2019: APC leadership sidelines Tinubu’s committee appeared first on Vanguard News.